To show everyone that I’m still alive, It’s been over a week, I have to reblog this post. I love the inspiration Unload and Unwind constantly offers, and you should too. 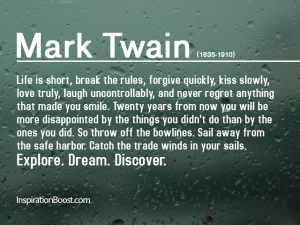 In honor of Mark Twain who died on the 21st of April 1910 and who is an enduring literary figure.